Hitting the trail with only a single rucksack strapped to your back can have great rewards for your mind and body. Plus, you don’t need much funds or equipment to do it. 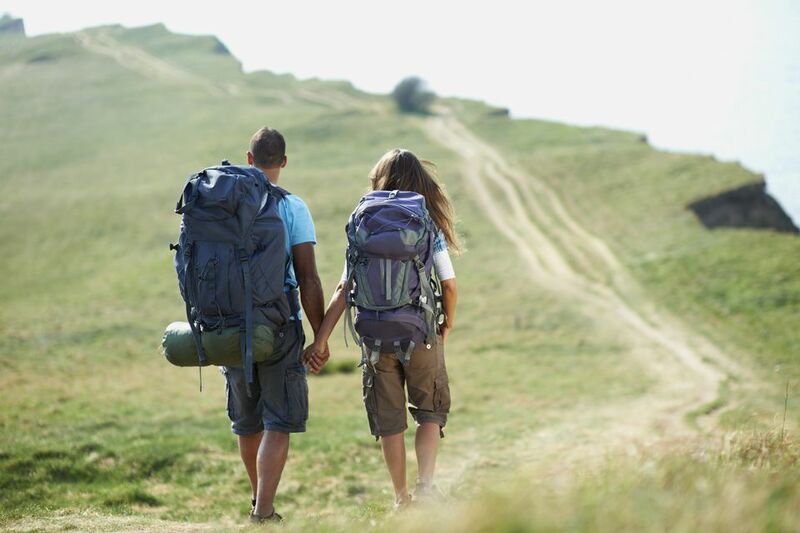 If you’re already a person with an active lifestyle and a love for the outdoors, you’re almost ready to join the popular trend of backpacking. The only thing left now is to choose a good rucksack that can fit the ten essentials needed to stay safe and have an enjoyable experience. In order to choose a functional backpack to carry your gear with ease, here’s what you need to consider. The capacity of rucksacks is measured in litres, ranging from 5 litres for a single-day hike to 85 litres for a multi-day adventure. The perfect size for most backpackers is somewhere in between. Generally, girls are better off carrying something in the range of 45 – 55 litres, and boys around 50 – 65 litres. The problem with a bigger rucksack is that you’ll be more inclined to fill it with things you don’t really need which can eventually weigh you down. It’s important to note that these are general guidelines and your ultimate choice should come down to personal preferences. You might be wondering how it is possible to even carry that sort of weight on your back comfortably. Well, that’s where the frame comes into play. For instance, an internal frame can help distribute the load evenly which makes it feel as though it weighs less. It also helps you stay stable when hiking on uneven, off-trail terrain. On the other hand, an external frame provides more ventilation which can reduce sweating and make you feel more comfortable on the go. With that being said, if you plan to get a backpack that doesn’t weigh more than 35 litres, an external frame will be most suitable. On the other hand, it’s advisable to get an internal frame if you plan to get a bigger backpack and travel a lot on foot. All rucksacks are top loading, which means that it can be a nuisance to find the things you need efficiently. In those instances, internal pockets can be a saviour. External side pockets, on the other hand, allow you to easily reach essentials like water bottles without stopping to take off your backpack. Some external pockets can be made of waterproof materials which allows you to separate any wet gear from your dry gear. Almost all backpacks are compatible with hydration reservoirs which allow you to stay hydrated efficiently without making water breaks. Additionally, many backpacks also come with a removable day pack which is convenient for taking short trips away from your camp when you don’t need to bring everything along.